Majid Al Futtaim Cinemas is set to invest AED1.2 billion ($330 million) through a series of acquisitions, creating more than 1,500 new jobs across the region. 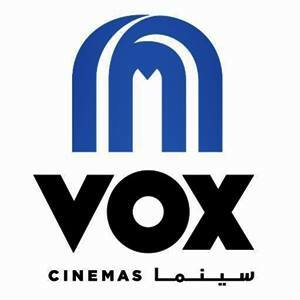 VOX Cinemas has secured 23 new locations, opening progressively over the next three years, with 2018 set to be the company’s most aggressive year yet, when it will open 16 locations with a total of 145 screens spanning seven countries in the MENA region. The company said recent joint ventures in Oman and Bahrain have anchored the company as the region’s largest cinema entertainment provider. This year’s expansion into Africa with Mall of Egypt in March and Qatar in April led the Middle East expansion, with further new cinemas in Bahrain and Kuwait opening in the next six months. New cinemas will also launch across the UAE. Cameron Mitchell, CEO for Majid Al Futtaim Cinemas said: “We are continuing to extend our unique offering to more movie lovers by doubling our screen count to over 600 across seven countries in the Middle East, creating more than 1,500 new jobs across the region by 2020. Mitchell added that the company expanded its customer base by 50 percent in the last 12 months, expecting to end the year with 18 million visitors.